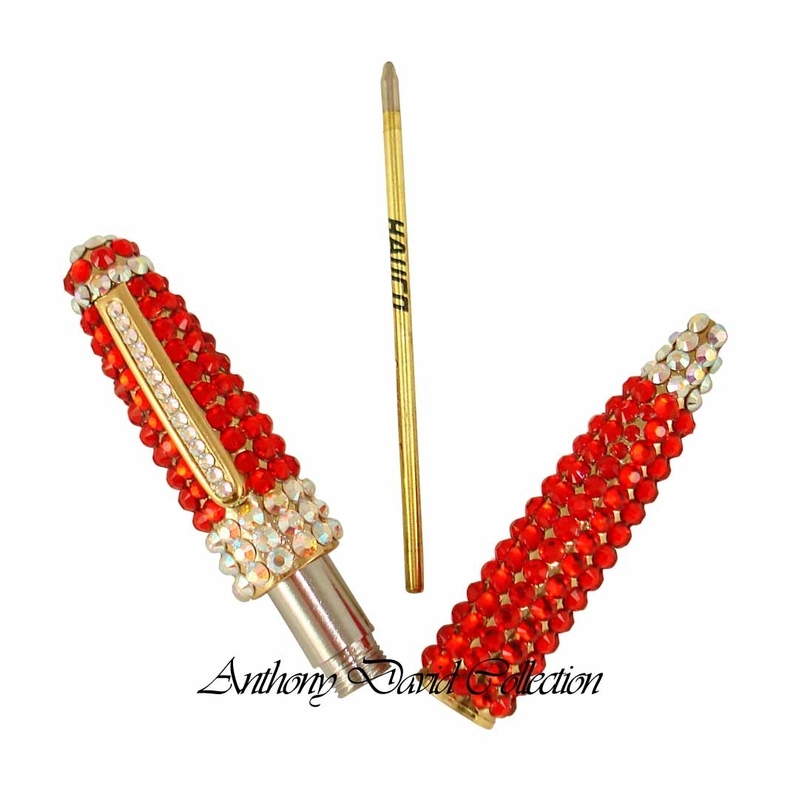 This exquisite Anthony David gold metal ball point pen is fully covered with Lt.Siam Red Swarovski crystals. Each crystal is hand set by a skilled artisan; making each design truly a work of art. This pen fits inside most of our Anthony David crystal evening bag collection. Covered with real Swarovski crystals. detailed design with Aurora Borealis Crystal accents. Brass metal body with a gold plated finish. Anthony David crystal writing pens are available in many other colors and designs.